It’s the same answer for both questions: Not nearly enough. Day in and day out, little “Big-J” journalism is created in most newsrooms. The large majority of what we like to call “quality content” tends to be fairly routine coverage of fairly routine community events, government meetings and crime. This is nothing new. Newsrooms have always tended to focus on the standard fare of community life as the most dependable means of generating enough content for a day’s news budget. But the amount of in-depth reporting is shrinking still further as our revenues — and therefore our staffs — shrink. Investigative reporting takes time. And when we DO take the time to do investigative reporting, we need to choose our subjects carefully. We need topics that touch or interest broad swathes of the population, or our investments of time may not pay off in big audiences. What do I mean by Big-J journalism? I mean the kind of reporting that smokes out wrongdoing, holds people accountable, breaks open misfeasance, malfeasance and non-feasance in government, reveals patterns of abuse and so on. However, my purpose here isn’t to go banging on about the need for this stuff. Rather, it’s to share a “you-can-do-it” example of Big-J journalism that even very small staffs can take on. This comes from my days as editor at my family’s newspaper in Monroe, Mich. And it goes way back, before the Internet, social media and email. That doesn’t matter — this idea is as good now as it was then. I hit on the idea one day as I was thinking about our local judges. As in most communities, once judges got elected in Monroe, they would be re-elected over and over again for as long as they chose to run. I asked myself why. Well, because each judge’s daily work was mostly invisible to voters. We did routine court coverage and covered major trials, but none of this revealed much about the quality of the judges’ work. They reigned supreme in their individual courtrooms, where few voters ever went. There was no mechanism of accountability. I wondered what we could do about that. If only we could watch them work, day in and day out, we could inform voters on how they did their jobs. But that was flat-out impossible with our little staff of five reporters. But then it occurred to me that there WERE people who were in those courtrooms every day, and whose training in law made them qualified observers: the local lawyers. They handled cases every day, and they knew the judges’ strengths and weaknesses from personal observation and experience. How could we tap into their knowledge? I huddled with our excellent county government reporter, Charlie Slat, and we came up with the idea of drafting a questionnaire that we would send to the members of our local bar association. As I remember, we had about 10 judges at the time, and the bar association had about 90 members. We looked up the bar’s membership list and went to work to develop a questionnaire. I wish I still had the original questionnaire and could provide it here. And I wish I could lay my hands on the stories we produced. But this was in the days before digital archives, so I can’t. Impartiality, including gender, race, age, ethnicity and defense vs. prosecution. Punctuality, efficiency and orderly oversight of the courtroom. Fairness and balance in sentencing, determining bond and settling procedural disputes. 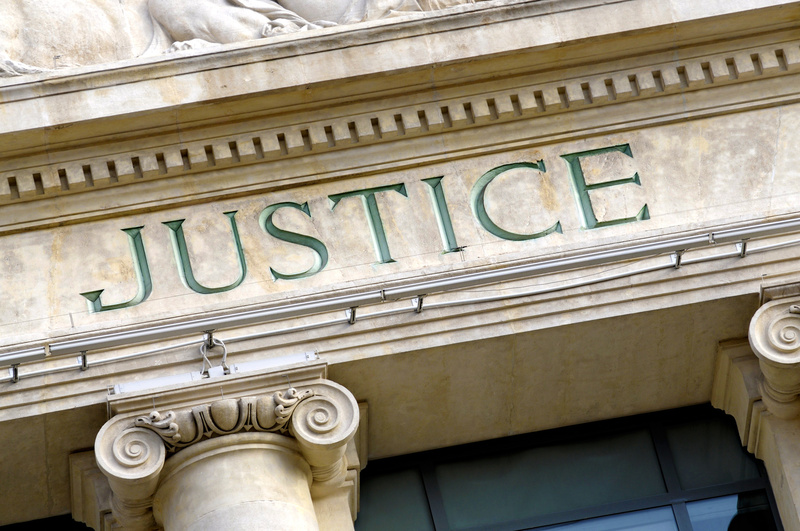 Courteous and professional treatment of plaintiffs, defendants, attorneys, juries and people in the courtroom. Knowledge and appropriate application of the law. Each performance parameter was briefly described in a sentence or two, and participants were asked to rate the judges on a scale of 1 to 5, from very poor to excellent. We also provided space for written comments on each parameter. The survey included a ratings sheet for each of the 10 judges. At the end of the survey, we provided space — labeled optional and confidential — for the survey participant to provide his or her name. In my cover letter, I asked attorneys to answer honestly and candidly. I asked them to recuse themselves from completing the survey if they did not frequently handle cases in court. And I asked attorneys to refrain from rating any judges in whose courtrooms they did not have direct experience. I also pledged that the newspaper would not reveal the survey respondents’ identities to the public or to the judges. As I recall, at least 70 bar association members returned the survey, completed either in full or for one or more of the judges. Only two provided their names — a mark of singular courage and honesty, in my opinion. As the results poured in, we read them with amazement. Another was revealed in multiple comments as uniformly lenient, and a sucker for sob stories and psychologist witnesses for the defense. His sentences were said to be often too soft for the crimes committed. And several respondents reported a dubious gambit used by some defendants to avoid the “hanging judge.” They would hire an attorney who rented office space in a building owned by that judge, and the judge would disqualify himself on their cases because of his business connection with the attorney. Then the case would often go to the lenient judge. Another judge was criticized as indecisive and unsure of the law. And, some said, drunk on the bench. Another judge was repeatedly criticized for working only a precise 10-to-3 schedule every day, regardless of the backlog of cases. After the survey went out and the legal community started talking about it, that judge called our publisher. He asked if the publisher would agree to delete him from the results if he resigned before the stories were printed. Several judges got uniformly high ratings, several got middling ratings and a few got plenty of criticism. We published the results with responses and comments from the judges. A couple of them complained — mostly not for publication — that it wasn’t fair to ask lawyers to rate them anonymously. In my opinion, that was the only way to do the survey. Given the tremendous power judges hold over attorneys in the courtroom, requiring identification would have silenced most of the truth that needed to come out. Even before we published the results, the legal and governmental community was buzzing, and the lazy judge quit. Then our stories reverberated across the community, triggering discussion everywhere and more than a little indignation. A few years later, after I had left the community, the paper repeated the survey process and again published the results. It appeared that the original project had left a lasting mark; the results showed a generally higher level of performance among the judges. Who holds the judges in your community accountable? You can — and it doesn’t take a large staff or months of work to do it. Posted on January 23, 2017, in Audience, Content, innovation, Investigative reporting, Journalism, management, media management, News, Newsrooms. Bookmark the permalink. 1 Comment.